Our server was down for maintenance right after I reached level 80 so I didn’t have a chance to visit the Priest trainer for my last spells and ranks. I didn’t even have time to purchase my last glyph, so when the server was back online I had plans to get the spells, glyphs and find a few gems for my new chest piece. A few minutes after I logged in, a friend I PvP with had grouped us up for what I assumed would be a few quests. Instead of quests, a LFD queue popped up. 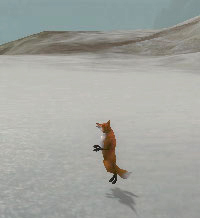 I was a little annoyed as I usually quest in Shadow spec and switch to my Disc healing spec for battlegrounds and dungeons so I was somewhat unprepared – I hadn’t even been to my trainer yet to upgrade my spells or purchase my glyphs! Common courtesy would suggest people would at least ask or give one a few minutes notice to switch specs, mana up or do whatever they need to do first, but in my WoW experience, common courtesy is more rare than the Swift Zulian Tiger! Oh well. As a very new level 80 I needed to start running instances for Emblems or Badges or whatever it is to purchase decent gear and get rid of all these quest blues and greens anyway, so I quickly switched specs and started drinking to restore mana just as we zoned into the instance. 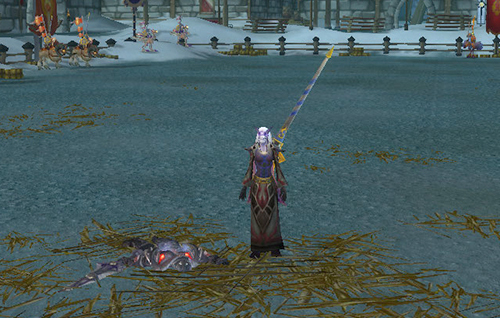 All of the Lich King instances are new to me except the one or two I tried a long time ago with my hunter. I gave up on those fairly quickly as it was generally a total wipe and everyone would quit, or I would get tired of hearing “huntard” before I had even done anything! As I wrote in another post, most players tend to be more forgiving towards a priest than a hunter, so no one seemed to mind that I didn’t know this instance. We wiped twice but no one raged and everyone was patient with me. I found it difficult to heal during boss fights. Trash was fairly easy as no one took a lot of damage, but boss fights would run me out of mana very fast and some of the mechanics would hit me and I would be unable to do anything. Of course, now that I’ve got all my final and upgraded spells I have a few extremely useful “Oh Crap” macros for those moments, but mana regen is still an issue. Once again, I died just as the last boss was killed. No one else died, just me. I’m still not sure what happened but this is about my third time getting killed just as the final boss goes down. I must be standing in the wrong place at the wrong time! One welcome difference between Lich King instances and everything else is….maps! Nothing I loathed more about any instance than long graveyard runs through twisty mazes trying to find your instance portal, and then running another maze through the instance trying to find your corpse. So far the graveyard runs have been short and close to the portal and the maps make it easy to find your way back instead of trying to figure out where the heck you are on the mini-map. Apparently this is one common complaint with the LFD tool – new players have no idea how to get back to the instance if they die. Implementing better maps at the same time as the LFD tool would help quite a bit, but it’s not likely that will ever happen. Seriously, does anyone really expect new players to make the effort to scout out the location of every instance before using LFD or spend hours looking for maps on other sites? I know it takes hours – I’ve done it – and finding maps on how to get to the instance are few and far between. Perhaps players should do more research, but that would make the convenience of LFD not much of a convenience at all – especially when a few decent in-game maps should be available and basically a no-brainer. Although I found it hard to heal, I think we did okay and I managed to get another nice little gear upgrade. I was very surprised when the instance Achievements popped up – I had no idea this instance was Heroic – I didn’t think I could even get into one! Best of all, I got my first two Frost Badges – only 498 left to go…. I’ll admit I skipped a lot of content leveling up my Priest, so when a friend asked if I could help heal a lvl 60 raid and I thought it might be a good opportunity to get some raid healing experience. A few minutes later I get summoned to the Temple of Ahn’Qiraj and they are just starting Vek’lor and Vek’nilash. Since they had progressed so close to the end I didn’t think it would be a problem to get saved to this raid as there were quite a few level 80s in the mix. I expected we would down the bosses with few problems and without any “panic mode” healing. I ask what the healing assignments were a few times but no response. Group 3 kept posting in Raid chat they had no healer, but Raid chat is filled with arguments about the Master Looter and loot and Group 3 also get no responses. Suddenly everyone rushes off to kill the bosses. I still don’t know who I’m supposed to be healing and I have no idea who is in Group 3, so I just pick the ones going down the fastest and do what I can. Bosses go down with just a few deaths and another long argument about loot. Loot boxes start popping up and I pass on everything because it’s no use to me and at this point I don’t care. With arguments about loot still unresolved, everyone rushes off to final boss C’Thun. A few brave people ask to have the fight explained. Raid Leader replies with “KILL KILL KILL”. Okay, everyone runs in and Wipe Wipe Wipe. Release, run back and try again. Another brave player asks about a fight strategy. Raid Leader says “Trust me just kill kill kill”. No surprise, another wipe wipe wipe. People start leaving, I run back to get my corpse and get out of there. More arguments about loot and “bad raid leader.” Obviously this was going nowhere. I port back to Dalaran and find a Yellow Qiraji Resonating Crystal in my bag. Don’t know where or how I got it as I passed on every roll and didn’t have time to loot anything, but I’d much rather have the hour I wasted back instead. Just for fun, I looked up and read a few suggested strategies on the boss mechanics for C’Thun and how to handle the fight – no wonder we wiped – the explanation of “KILL KILL KILL” from the Raid Leader never would get that boss down! 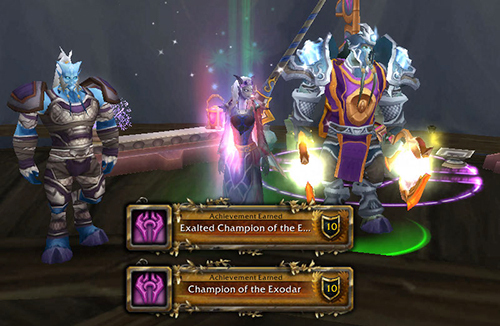 Last night I managed to finish up the quests to be Champion of Exodar. I always skipped that nasty At the Enemy’s Gates so I found myself at 24/25 Valient’s Seals. I had already done all the dailies and all that was left was that one, nasty quest. I decided to give it a try to get that one, last seal and obtain my Champion status instead of waiting for the next day. 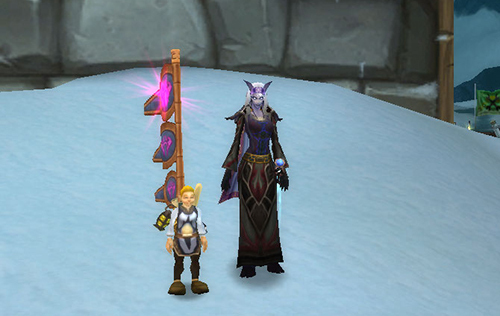 Anyway, I wanted to get my Argent Squire – who doesn’t want a little kid running with you waving your Champion flags? This quest was just as nasty as I remembered it. I died four times trying to complete this quest, and the last time I died I had not only aggroed the Boneguard Lieutenant I was trying to kill, I also had several Boneguard Scouts and three Boneguard Commanders running me down to stomp me into the ground. I finally finished the quest, turned in my seals and got my Champion of Exodar. I got my Argent Squire and finished up the Black Knight quest chain. I started the next quests for Champion of Darnassus, but this time I think I’ll wait the extra day instead of attempting that nasty At the Enemy’s Gates ever again! Wow sounds like a bummer of a raid! I’ve never done it before but from every raid I’ve ever done there is never a boss you just “kill” most have strategies that make it possible to kill them. Congratulations on the Champion status, I’m still a LONG way aways from mine. I’m a dwarf and am still not a champion of Ironforge, but then I found out about the tournament after I hit 80 so I’ll get there soon. As for the quest “At the Enemies Gates” I’ve done it 3 times now and it just doesn’t seem to get easier, my problem hasn’t been with anything but the Commanders, I tent to aggro them in groups of 3-5, like I aggro 3 and then 2 more while running away, which usually means face time with the mud….. It should only take about 5 days to get Champion of Ironforge if you’re doing “At the Enemies Gates” quest with the other dailies. It takes me a day or two longer because I won’t do that one anymore 🙂 When I realized my repairs costs were about 25g and I was just getting 13g to do that quest, well….not worth it for one seal. The rest of the Tournament dailies are lot of fun although I could never figure out why the most difficult daily quest is on your way to Champion but once you open up the other dailies the most “difficult” quest is having you go collect chicken legs.